The dress was more than we expected. and I would definitely order from them again. Wow, the dress is definitely out of my expectation! Wow, the dress is definitely out of my expectation! The appliques are very beautiful and do much favor to the dress design. 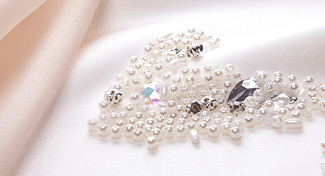 The beading and sequins are also of top quality. It is really worth of the money! Beautiful, elegant. the dress is top quality, fitted perfectly. This dress is gorgeous! I was not expecting it to fit and look so beautifully. Got many compliments on it! Such good quality dress.